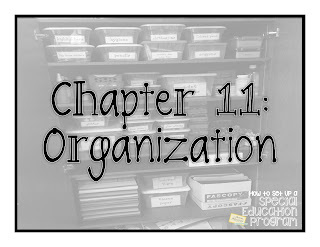 Organization is the key to a successful special education program. 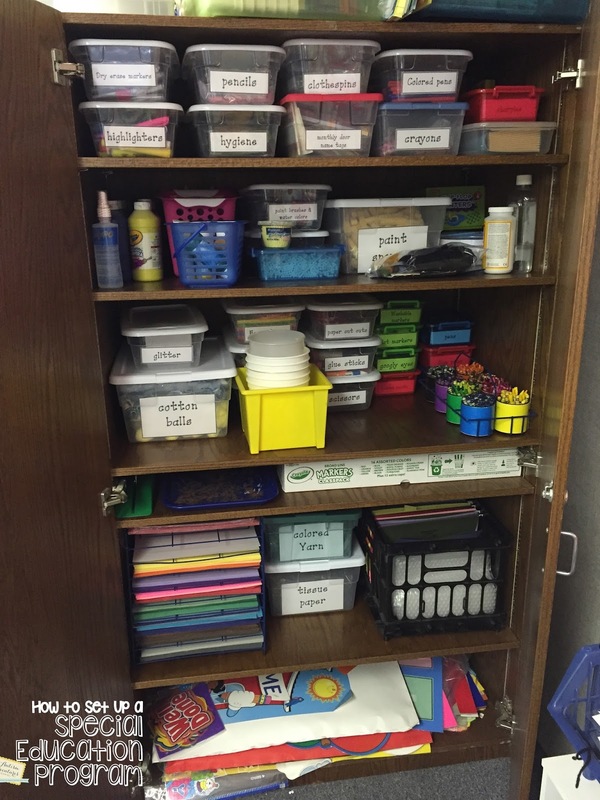 By having an organized classroom it will reduce stress for staff and students. 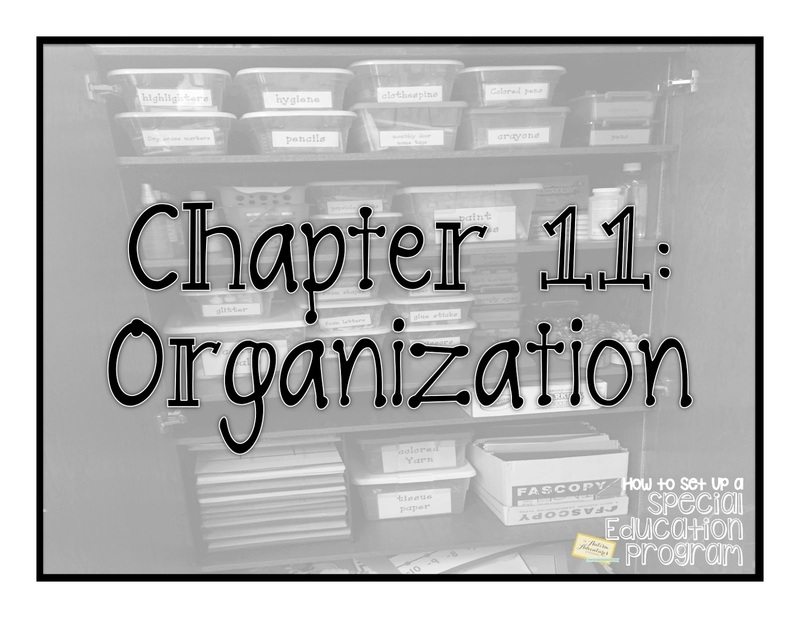 By spending the time and effort to organize your program before the school year starts, you will save tons of time throughout the school year preparing for each day. 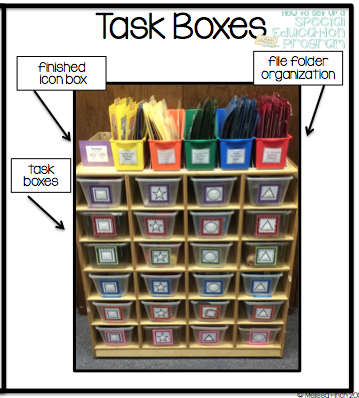 Organization is IMPERATIVE for success. 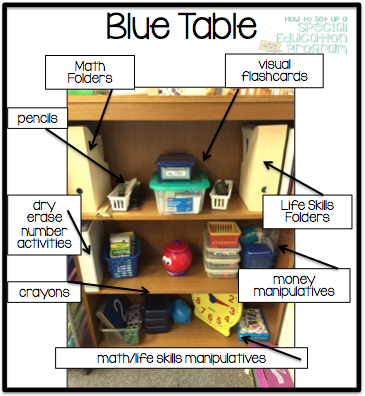 Behind each center (green and blue table) I have a book shelf that stores all of the work center materials within an arms reach. Behind the red center I have a book shelf that stores all of the work center materials within an arms reach. I also have a task box center organized. 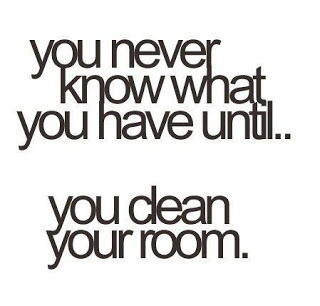 In the left storage unit I store all my big random things that I don’t access every day. This is also where my staff stores all of their personal belongings each day. 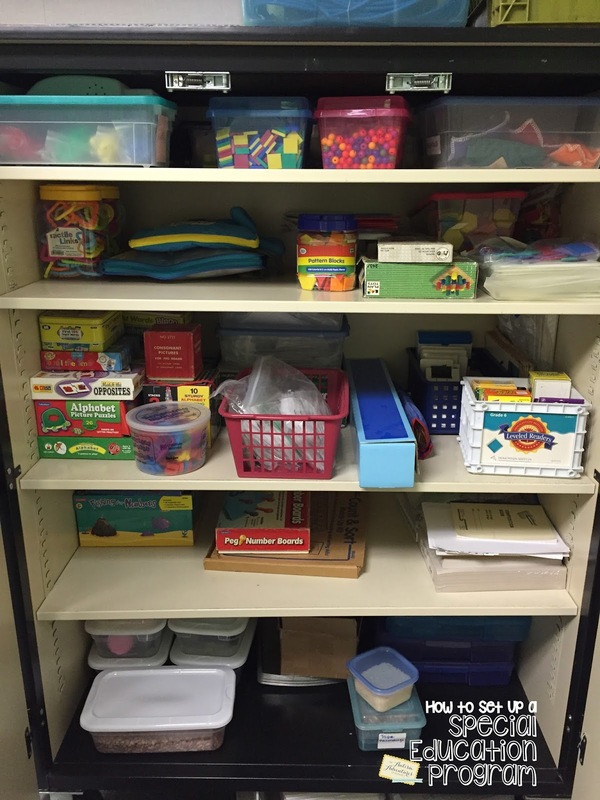 In the second storage unit I store all of my manipulatives on the top shelf. 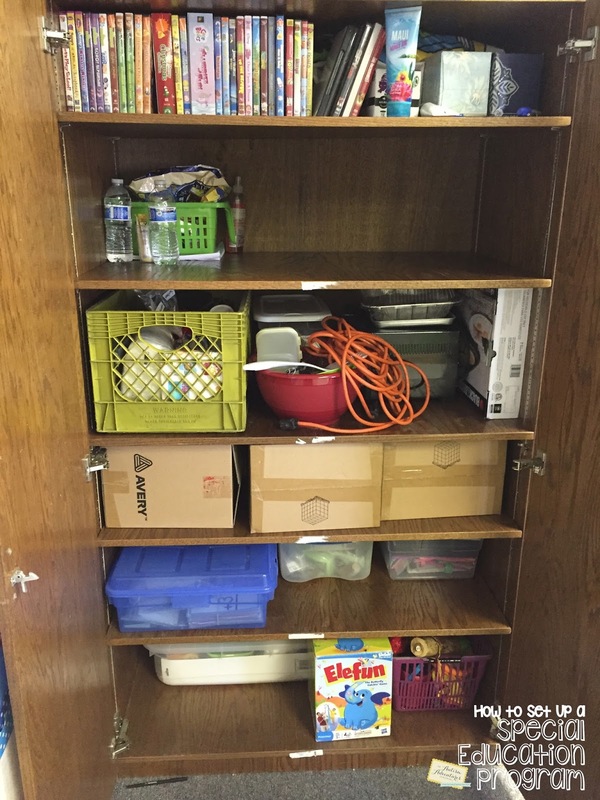 On the second, third and fourth shelf all of my academic games are organized by subject. The bottom shelf stores all of our sensory bins and play doh! The third storage unit is the most organized- I store all of our supplies. 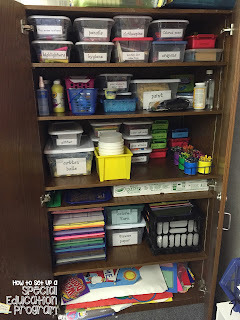 Everything is labeled in boxes and stacked and organized! 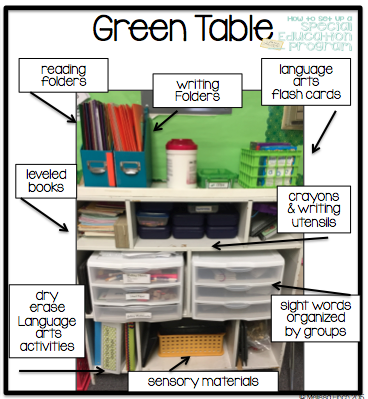 Check back tomorrow to learn about more tips on organization in your autism classroom!